The 12th Annual Governance, Leadership and Management Conference will be held on Friday 10 and Saturday 11 May, 2019 at Lorien Novalis School for Rudolf Steiner Education in Dural, NSW. The GLaM conference will once again be preceded by the SEA Business Managers Meeting on Thursday 9 May, 2019, and will be held at Warrah School, Dural, NSW. This year’s theme is What is a financially sustainable school? We are very pleased to welcome John Somerset to the SEA Business Managers’ Meeting and GLaM conference this year to speak and run practical workshops on financially sustainable schools. 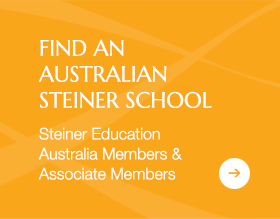 In 2019 we celebrate 100 years of Steiner education, and we are delighted to welcome to Australia, and to the GLaM Conference, renowned Steiner educator, Torin Finser as our keynote speaker. Torin has extensive experience consulting with schools in organisational dynamics and leadership development and has been a keynote speaker at conferences all over the world. He is the author of eleven books, including School as a Journey, School Renewal, Organizational Integrity, A Second Classroom, Parent Teacher Relations in a Waldorf School, Leadership Development, Education for Non-Violence, and his newly published The False Door between life and death. His Guided Self Study is used by many as an introduction to Anthroposophy. Torin will be looking at the past, the present and the future of Steiner/Waldorf education, and what are the essential pillars of Steiner education. This year we are continuing our special GLaM program for staff working at the front line of the school such as those who take the first enrolment enquiries, compile school communication and newsletters; the school administration team. 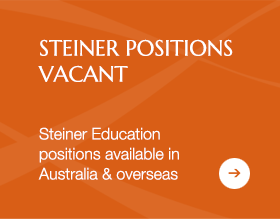 We hope that schools will support these staff members to attend, as professional development in a Steiner context for administration roles is rare. There are excellent workshops for Board directors on both Friday and Saturday covering financial stability of the school, the role of the Board in a Steiner school, the role of the board in decision making around specific issues including inclusion and discrimination. For Board directors from NSW schools, two of the Governance workshops can be used as required PD hours for NESA school Board training. Other workshops at the conference will address important topics for schools on leadership, wellbeing, reconciliation, issues management, media training, building community, diversity and inclusion. 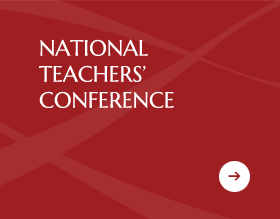 There will be workshops at the conference for Board members, school leaders, business managers, teaching and learning staff and school admin staff. Registration for the Business Managers’ Meeting, the Business Managers’ Dinner, the GLaM Conference, and the GLaM Dinner will open on Friday 22 March, 2019 and close on Monday 29 April, 2019. Participants will need to register in advance for the conference. No conference bookings for these events will be taken at the conference.